I had a lot of fun contributing to Martha Stewart Living Magazine's Winter Edition in an article called "The Weight Is Over". Below is the press release we sent out to announce the article. We've included tips from the article, below. 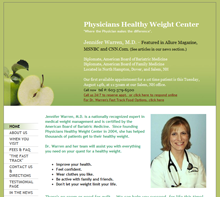 New Hampshire Weight Loss Physician featured in Martha Stewart Living Magazine. Jennifer Warren, M.D., founder of Physicians Healthy Weight Center in North Hampton, Dover, and Salem, NH, is now giving her advice in yet another national publication, “Martha Stewart Living Magazine”, in the January/February 2014 Winter edition. Since Dr. Warren left family practice in 2004 to open Physicians healthy Weight Center, she has helped thousands of patients lose tens of thousands of pounds. And although she is considered one of the best kept secrets in New Hampshire, she is very well known across the U.S. as a medical weight loss expert with numerous articles in Allure Magazine, Women’s Health Magazine, Web MD, and other national and local publications. The latest article, called “The Weight is Over” by writer Rory Evans for Martha Stewart Living Magazine, features Dr. Warren explaining how people can still shed pounds this winter while eating delicious food without hunger pangs or cravings. Excerpts featuring Jennifer Warren, M.D. If the holidays are about indulgence, then January is the time for rebooting a healthy routine. The good news is you can shed pounds while still eating delicious food - without hunger, cravings, or crankiness. To avoid sampling and nibbling an entire dinner’s worth before actually sitting down to dinner, Warren, for her part, recommends setting aside a plate of bite-size vegetables and fruits: “Try things that are simple, refreshing and not calorie-dense.” Just as you shouldn’t grocery shop when you’re hungry, you shouldn’t cook hungry, either. “I don’t recommend the so-called ‘sumo dieting’ strategy of not eating all day and then overeating at night," Warren says, pointing out that this is how the heavy-weight wrestlers actually gain pounds. “Going all day without eating results in low blood sugar, which can induce cravings and a loss of self-control." The same can happen, though, when sugary, processed foods dominate your intake throughout the day. According to a study published last year in the American Journal of Clinical Nutrition, a diet of high-glycemic index foods made overweight test subjects feel hungrier and have more cravings than subjects ingesting low-glycemic foods. The best strategy, then, is to eat well balanced snacks throughout the day. Reach for something you like to eat. "Flavor is important for a sense of abundance, “ Warren says. But she also points out that certain foods can improve your sense of fullness - ones with protein, fiber, or high water content (such as melon, and salad). “They trigger neurochemical changes that help us feel happy and full." That in turn, helps when you do sit down to a beautifully prepared meal. “Many people find that eating healthfully throughout the day helps them control their appetite and portions,” Warren says. Not that you need to control the portions of low calorie-dense foods such as greens, broccoli and other vegetables. But you do need to keep an eye on those that are surprisingly high in calories in very small portions, like oils, even healthy ones. And if you have “trigger food” - those morsels of deliciousness of which you could just as readily eat a bushel as a bite - Warren says to “know your history with the food, and honor it." For instance, if you can nibble a small piece of exquisite chocolate and feel satisfied, “stopping at one piece would be a good strategy," she says. If you know from past experience that you can’t stop, limit your exposure - only eat chocolate with a friend when you’re out, she says - so “you can feel happy, guilt free, and in control."